【NEU】 NEAR Station!Shibuya 4min Zug!Gratis Wifi!! Dieses moderne Apartment liegt nur 6 Gehminuten vom Bahnhof Sangenjaya (500 m) und nur 4 Minuten mit dem Zug vom Bahnhof Shibuya entfernt. In der Nähe des beliebtesten Nachtlebens (Shibuya) finden Sie zahlreiche Restaurants und Geschäfte in der Nähe. -Internet ist kostenlos zur Verfügung gestellt. Pocket WiFi kann bis zu 10 Geräte anschließen und kann überall verwendet werden. Room is cold on the night . And the location is not the same than on the web. Good but there is a 10 minutes walk to the metro and it is not central. L'appartement est idéalement situé à environ 10 minutes à pied de la station de métro la plus proche. Tout était propre et fonctionnel. Anthony est resté disponible pendant toute la durée du séjour. Le quartier est sympathique. Vous pouvez y trouver des restaurants typiquement japonais très facilement. Le seul bémol est que nous étions 4 et que le futon prévu pour deux personnes était vraiment trop petit ... Pour 3 personnes il n'y a aucun soucis. Property was clean and close to the train and grocery store. Check in and check out was easy. The bed was comfortable. We had all that we needed at this location. The floor futon was a bit worn, but we made due. We would stay at this place again. Compact but clean and comfortable accommodation for family of 4 with 2 being young children. Good location and comfortable, cheerful, clean accomodation. A little on the compact side for 4 adults but fine with 2 young kids who used the futon. Great portable wifi. Limited cooking implements but good cheap convenience food available at stores nearby. Excellent communal clithes washing & drying facilities downstairs near the entrance - bring lots of 100 yen coins! 200 to wash and 500 to dry. The apartment is small but functional, with a bathtub, some kitchen utensils, a microwave and a few other amenities. There is a balcony, and the possibility to add some bedding with an extra 2-person futon, so it's convenient. 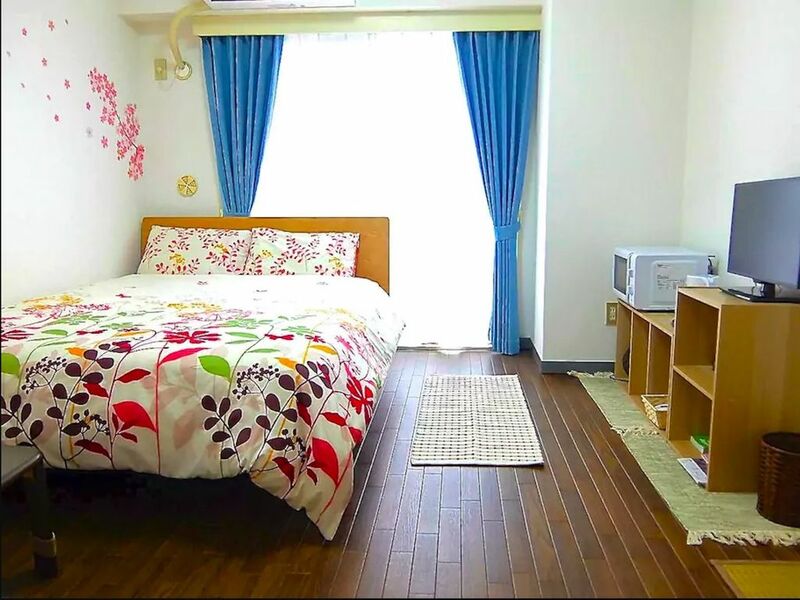 The location is good between Sangenjaya and Komazawa Daigaku, with both subway stations a 10-minute walk away. This means going to Shibuya is fast and easy. The neighborhood itself has a lot of interesting things going for it, although it is split by a multi-level highway that can be quite noisy at nights especially if you open the window. We had a great time at this place and found it clean, convenient and exactly as expected. Communication with Anthony was smooth and easy, he is responsive and will make sure you have all the info you need to check in easily. What's more, the apartment comes with a portable wifi router, which you can also use outside if you need to access the Internet on the go, I thought that was a great addition! - the building is not really set up for short term stays so you might feel you need to stay a bit under the radar. Fortunately there is a backdoor you can use too and overall it was not a problem at all.